Shazam! is the latest entry into the DC cinematic universe or whatever the hell they are calling it. Things have been shakey for DC, they’ve had some hits and some real misses. With Shazam! DC has hit a home run. David F. Sandberg directed the film and it was written by Henry Gayden. I’ve been a big fan of Sandberg since his directorial debut Lights Out—in my opinion he has yet to make a bad film. Captain Marvel or Shazam as he is now called is one of my favorite superheros and that’s 100% because of the incredible New 52 relaunch written by Geoff Johns with stunning art by Gary Frank. Billy Bateson is a 14-year-old street smart orphan. He has a good heart or at least as good as anyone could have. Through a series of events he gains powers that basically turn him into a magical version of Superman—the character was originally created as a Superman competitor for Fawcett Comics. Many people are comparing the movie to Big and that’s essentially what it is, a superhero version of Big. If you wanna know more about the character I implore you to read the New 52 Shazam run, not only is it fantastic but the movie is almost a complete adaptation of it. The script was perfect, it was an extremely faithful adaptation it captured all the thrills and feelings of the comic. I was grinning from ear to ear watching. I’ve read Shazam quite a few times and this was like watching it on the big screen, actually that’s exactly what it was. Zachary Levi plays the titular Shazam and there honestly couldn’t have been a more perfect casting. Levi perfectly encapsulates the spirit of a child, he is a giant man but totally sells being a 14-year-old boy. He’s charming and hilarious and he seriously put in some work for that superhero physique. Asher Angel plays Billy Bateson, I’ve never seen the kid before but he was awesome. I had no trouble believing he was the same person as Zach Levi. The real standout though was Jack Dylan Grazer’s Freddie Freeman. I enjoyed him in IT but I had no idea he could be so funny. The young man has impeccable comedic timing. Shazam! from top to bottom was full of humor and laughs and most of it was because of Grazer. The kid is a stud. Overall, Billy’s new “family” were all fantastic. Special acknowledgement to Faithe Herman for playing Darla—she might just be the most adorable little girl I’ve seen on-screen and see perfectly captured the character of Darla from the comics. And last but not least Mark Strong as Dr. Sivana. Mark Strong is an awesome actor—I loved him as Merlin in the Kingsman films. Strong has finally gotten his super-villain redemption after playing Sinestro. Sandberg has only done horror in the past and a light-hearted superhero movie is a weird jump but James Wan has done it and now so has Sandberg. Just like the story felt like it was straight out of the comics the movie looked like it was straight out of the comics. The cinematography was perfect, everything was perfect. The lighting, the villain, Shazam and everything. I just really loved this movie. It was so fun and light hearted something a DC movie has yet to be. Shazam! and Aquaman might just become the flagship movies of the franchise. This movie was littered with Easter eggs for new fans and old fans. 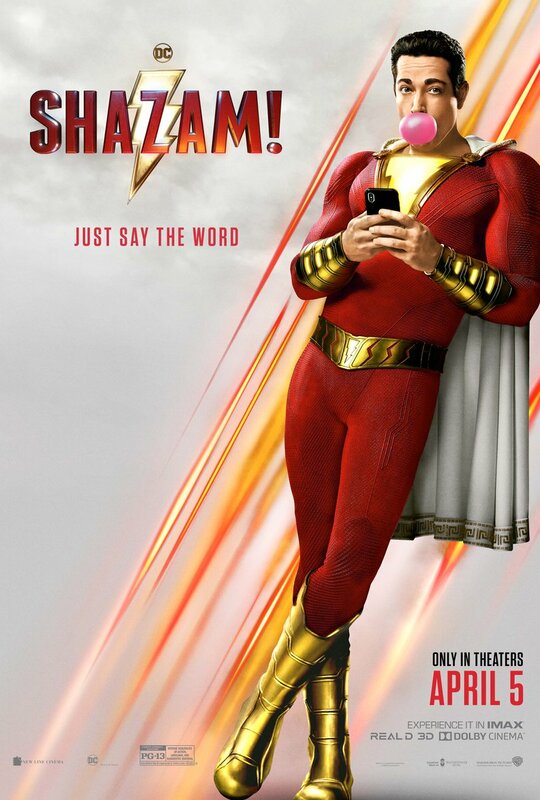 The future is bright for Shazam! and DC. I give Shazam! a 10 out of 10, would watch again.